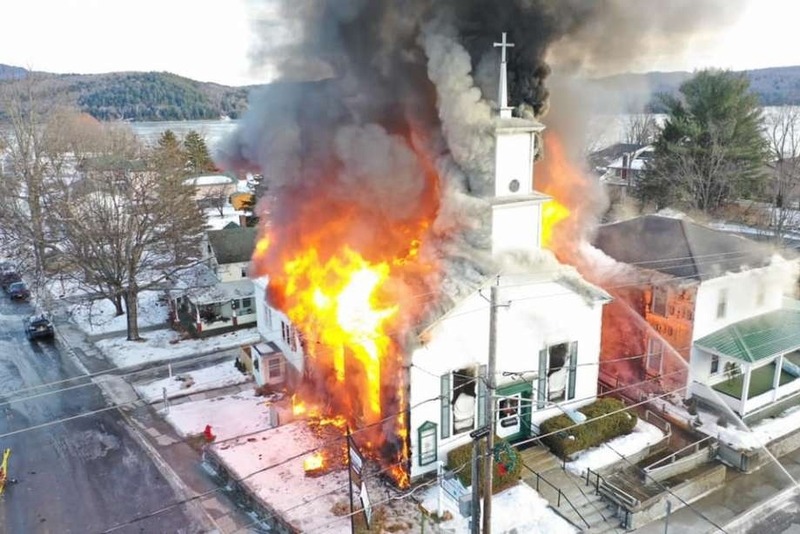 A fire destroyed the Schroon Lake Community Church and Pastor Lynnette Cole’s parsonage in Schroon Lake on Wednesday afternoon. Both buildings are a loss and many memories along with them. Pastor Lynnette is looking to replace and rebuild. Putting a life back together is not an easy task. She has begun this journey with just the things that were in her car at the time of the fire. Luckily she and her dog Lumos were not injured from this tragedy. It is difficult to put a price on a house full of treasured items from childhood, college, and adult life. This GoFundMe is being created out of a large demand from people asking what it is that they can do to help. Aside from donating on this page we have been directing people to send gift cards. Of course prayers are also needed during this difficult time. Many people have been requesting a mailing address for Lynnette Cole. The camp has agreed to accept mail on her behalf.